In many cases, sustainable solutions to the great social problems of our age do not come from the brilliant academics, the accomplished careerists, or the traveling nomads. They come from the often overlooked every-day members of our communities who know exactly what tools they need to accomplish their goals and overcome obstacles. We leverage Trust Capital to develop a base of understanding and comradery in order to see obstacles at the community level. 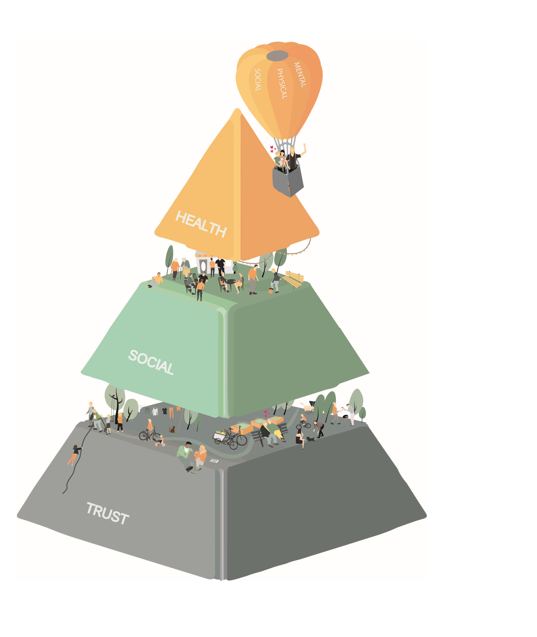 We have found that Trust Capital, developed through socialization and community building, is more effective than monetary capital when designing and implementing solutions. It has proven positive effects on both health and micro-economy. Trust is built by learning, from which unfolds a unique depth of understanding which in turn allows for total collaberation from which we expand our design. This involves an intricate level of participatory work with community members looking both at social and spatial components in order to facilitate a design that correlates to the users' expressed needs. - A pressing issue(s) that has been independently decided upon by a community. - A solution designed collaboratively to sustainably address it.